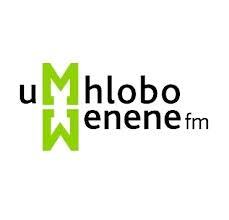 Umhlobo Wenene FM Live Streaming Online.Enjoy Listening over 70 South Africa radio stations freely online . Listen to South African Latest Music , Latest News , Talk Shows. Umhlobo Wenene FM broadcasts from Port Elizabeth, South Africa, providing Xhosa language News, Sports and Entertainment. Broadcasting to people who understand Xhosa, the second largest population group in South Africa, Umhlobo Wenene Fm is second largest radio station in the South Africa.Vision of this station is to Empower and Inspire all Xhosa speaking South Africans.This is the 2nd biggest African language radio station and the second most loved radio brand in the country. This fm is Public Broadcasting Service radio station which broadcasts exclusively in isiXhosa . 80% of listeners reside in the Eastern and Western Cape, with the rest spread across the entire country. SABC LTD-Umhlobo Wenene FM , Conyngham Road Parsons Hill , Port Elizabeth , 6000. PO Box 1040 , Port Elizabeth , 6000. Johannesburg: (089) 110-4757 , Mthatha: (047) 531-1493.
umhlobo wenene presenters : Masigoduke, Eziphambili etc are most famous Presenters.